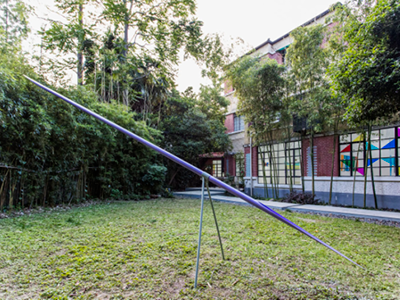 Art has always been a crucial component of Shanghai’s cultural history. Some of Shanghai’s esteemed modernist artists, such as Liu Haisu, painted luminous scenes of Fuxing Park and the streets of the Former French Concession (FFC). Even as the arts industry in Shanghai has been expanding from its initial enclave in M50 to the West Bund, the FFC has always been a desirable locale for galleries to showcase works of art. Please join the Art Focus Convener and Art Historian Julie Chun who will introduce us to three new galleries specializing in contemporary art as we stroll through the tree-lined thoroughfares of the FFC. We will find that each space possesses its unique architectural charm as well as a roster of diverse artists who are inscribing the condition of the times through visual expression. Come discover the arts in your own backyard and expand your understanding of how the local intersects with the global in the artistic sphere of Shanghai. NOTE: Please dress accordingly for hot sunny weather OR wet rainy conditions. This event will take place despite inclement weather. Comfortable walking shoes recommended.